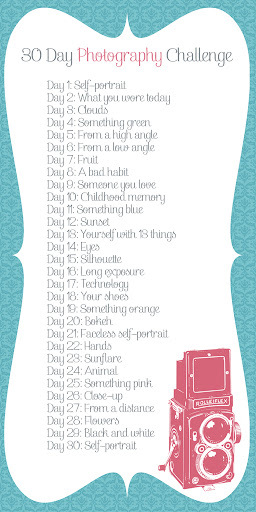 Any of my readers want to take part in this challenge with me? I would love to see what you come up with, link your photos to my post, and have some people to keep me going! Might join you on this - I have a brand new Canon Rebel that I have NO CLUE about how to use - so this might be fun. But I may skip the self-portrait since I'm starting late.